The best compliment I got on my cosplay came the following day. I returned to MAGfest in normal(ish) clothes and ran into somebody I’d met in cosplay the previous day. I must have had the biggest smile. I’d wanted to spend a day as one of my favorite characters from Danganronpa instead of as myself, and at that moment I felt like I’d succeeded. On Friday I cosplayed in public for the first time in about a decade. I wore my last cosplay, Mako from Nerima Daikon Brothers, in 2008. 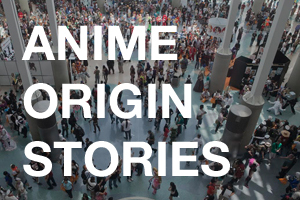 After that, I wrote a book about cosplay, appeared on Fox News to speak about cosplay, and went on q radio on the Canadian Broadcasting Channel to do an explainer on cosplay, among other media and event appearances. A lot of this has had me dispelling common myths about cosplay. Yes, you can make your outfit from scratch, assemble it piecemeal from clothing stores, or buy it outright, and it still counts as cosplay. And yes, a million times yes, anyone can cosplay, no matter their age, appearance, resources, whatever. I guess it was only a matter of time before I started taking my own advice. Left: November 2018 eyeliner test with old wig. Right: new wig mid-styling. It took me several months to get ready. I relied on the kindness of other cosplayers for which costume and wig to get. I got a recommended costume on Amazon and a wig from the same seller. But after two different attempts, I listened to another cosplayer and bought a new wig from The Five Wits that looked good even before I styled it. Since I wear contacts and have no problem sticking stuff in my eyes, I got circle lenses from Pinky Paradise to complete the look. My very understanding hairdresser helped me give my wig defined, lasting flipped ends using got2be glued hairspray and toilet paper rolls. An enthusiastic Sephora employee helped me figure out how to turn my eyebrows purple. After a couple of different makeup trials, I figured out the right combination of Pinterest tutorials to contour my face and enlarge my eyes so I could try to look more like a 2D teen than a 3D woman. Overall, I spent so much time on my wig and makeup alone that I have renewed awe for cosplayers who also construct their own outfits. By the end of the transformation, I didn’t just look like a different person, I felt like one, too. I wanted to have the full cosplay experience, so I asked my friend Barrett to do a photo shoot with me in and around the beautiful Gaylord atrium. The best photos we took were Barrett’s idea. It was lightly misting at night and he suggested I stand in front of the lit Ferris wheel. 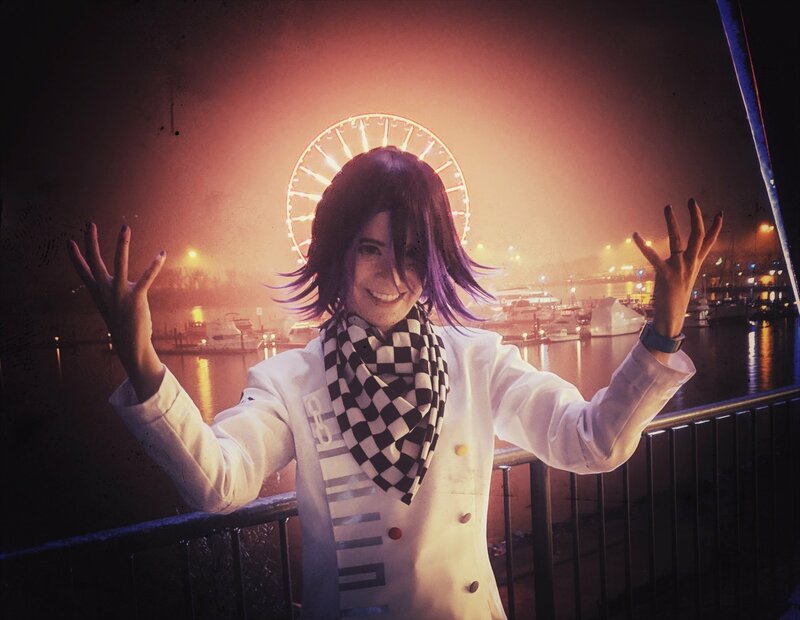 It had a halo effect that complemented Kokichi’s megalomaniac personality. 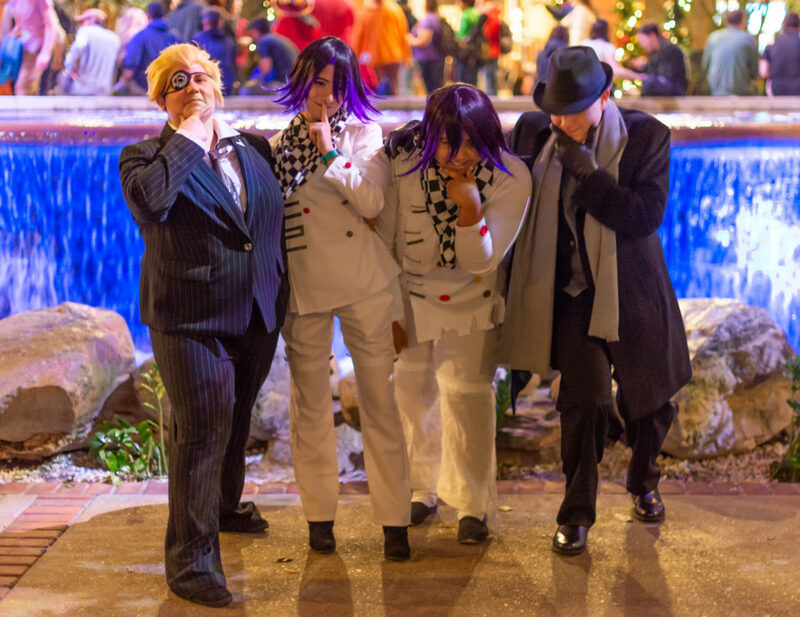 I also timed my cosplay with the day of the official Spike Chunsoft photoshoot so I could meet up with other cosplayers (one of whom was also dressed as Kokichi)! I felt like an extremely old lady when I first showed up at the meet but slowly began to get comfortable after realizing that everyone there was just as into Danganronpa as I was. There’s no age limit on fandom. I was also surprised by how much more respectful the cosplay world is compared to ten years ago. After I cosplayed at Katsucon 2008, I was afraid to do it again because I could never guess when a stranger would recognize my character and envelop me in an unexpected hug. Since then, the Cosplay Is Not Consent movement has had a major impact. Before our photoshoot, a MAGfest volunteer gave us all a talk about no touching without permission. There were several instances during the shoot where people asked for explicit consent, like when photographers asked for cosplayers to pretend their characters were romantically involved. (There were also Gen Z meme references like dabbing and T-posing.) The kids are alright. 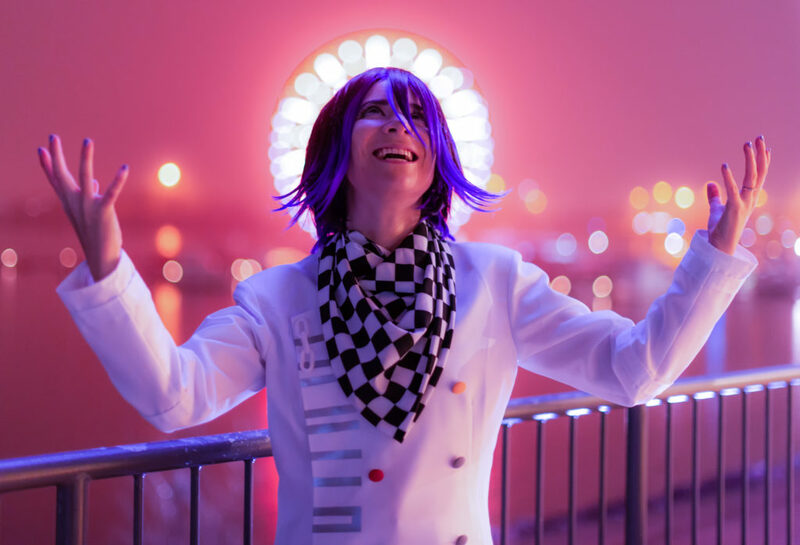 It took me half a day to start responding when people asked “Kokichi” for a photo, and a little longer than that for the poses to come more naturally. I wasn’t very in character because I was genuinely smiling all day, I was having so much fun. Meanwhile, Kokichi is a pro at faking emotions but not so much at really expressing himself. Kokichi’s personality ended up being a real detractor for me later in the day. After the photo shoot, I connected with a card game creator who had photographed me earlier. He gave me a prize card from Dangan Werewolf, a fandom mod that combines Mafia, Werewolf, and the Danganronpa games. 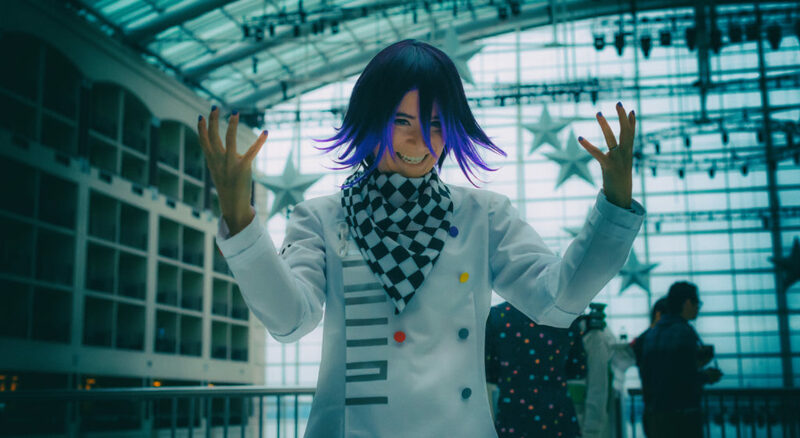 We got a group of cosplayers together to demo the game, but I had a very hard time being taken seriously because Kokichi would never tell the truth. 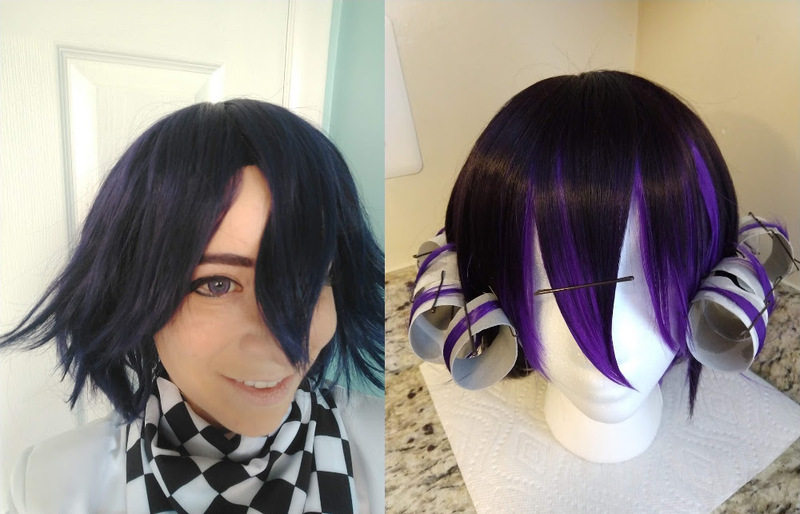 I hadn’t planned on roleplaying Kokichi, just dressing the part, but as other cosplayers got into character, I realized that maybe next time, that’d be another way to have fun in cosplay, too. Cosplay was a new and remarkably intense way to celebrate a fandom and connect with other fans, using my entire body to express that passion. I’ve compared cosplay at a convention to characters walking around at Disney World in the past: it’s one of the coolest feelings to know that any time you attend a convention, you could see your favorite character in the flesh. But what’s different here is that anyone can cosplay—you don’t need to wait for somebody else to cosplay a character you love; you can choose to do it yourself at any time. Overall, what really made my return to cosplay great were the attitudes of other cosplayers. Even though I’m older than the average cosplayer, even though I bought my cosplay instead of making it, I felt completely welcome. It felt amazing to take off my wig and heavy false eyelashes and ten layers of makeup, but now I’m anticipating the next time I’ll have an opportunity to cosplay again. Welcome to the last Otaku Journalist post of 2018. Usually, I mark the end of the year with a holiday shopping guide for anime fans, or some remarks on Otaku Journalist’s birthday (turned nine in November! ), I’ve decided to wrap things up a bit early this year. As a freelancer, my work grinds to a near halt after Thanksgiving and doesn’t pick up again until January. I’ve decided to take advantage of that by visiting friends and family, traveling for the holidays, and celebrating at least 5 birthdays including my own. The end of the year is a particularly arbitrary benchmark into which I assign a LOT of importance. My New Year’s Eve ritual involves at least an hour of journaling on what I learned in the past year and what I hope to accomplish in the year ahead. 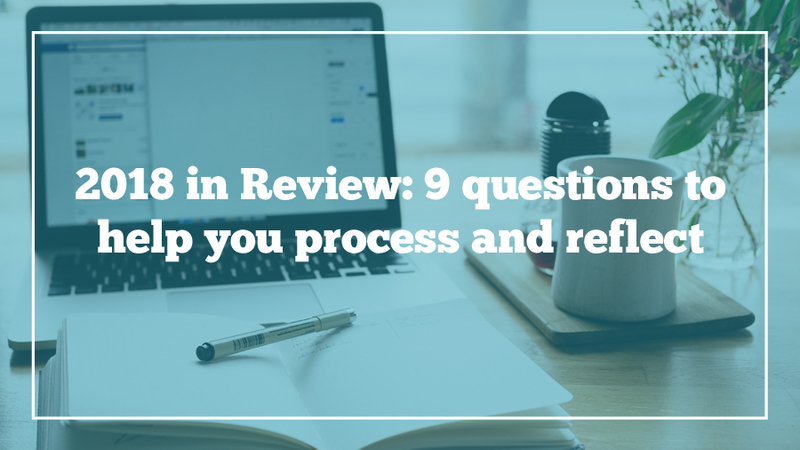 And so, for this last post, I’m revisiting an exercise I started last year, and which I encouraged readers to join in on, too: looking at my year through nine questions. Fittingly, that’s now one for every year this blog has been in existence! Read my answers, and maybe try it for yourself, too. The Forbes article I did on spending the day with Ladybeard. I probably spent more time on this long-form piece than anything else I wrote this year! Second place goes to my Voltron model review. So much to build and photograph. 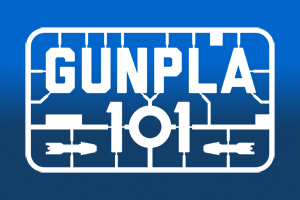 I had a blast assessing this Gundam plot coherency scale. I spoke about cosplay for CBC Radio’s q show. It sounds like I’m talking the whole time, but in reality, the host was prompting me with insightful questions. Jokey posts for the Anime Boston Tumblr that read like shitposts of actual news. But most of this year was spent writing for corporate clients. 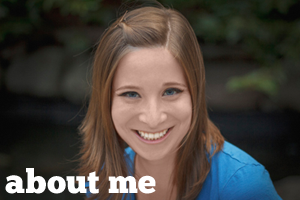 I think enough time has passed for me to reveal that I spent my summer ghostwriting the majority of posts for GoFundMe’s blog. Tough but rewarding work! Watching the sun rise over the Kamogawa River from my rented Kyoto villa. Guesting at Anime NEXT and getting to talk to a new audience about geek careers and Gunpla building. Also, en route, having the best Philadelphia cheesesteak of my life. Moving the final item (a Skyrim figure) to our new house. Taking the Japanese English conversation club to the Maryland Renaissance Fair and realizing it’s weird no matter which culture you’re accustomed to. Hearing the laughter and applause at our midnight Otakon panel on Gundam humor. The move! John and I lived in our apartment for seven years and accumulated a lot of stuff. We thought since we were moving a block away, it would be easy to just make lots of trips before and after the movers came. Instead, we unwittingly made it a lot harder. Then there was the process of getting unpacked, buying furniture for a larger place and figuring out where to put it, all the while fixing any surprises that came up. My weekends disappeared as we spent them working on home improvement when we’d rather be playing video games. By the time we hosted Thanksgiving, we had a fully-furnished downstairs, two guest beds, and I even knew where all of my plates were. That’s when it finally felt like home. I devote my time to different things. I used to put a lot of emphasis on putting aside time for myself and my work; these days I’ll drop everything for my friends. I think that means my values have changed. I care less now about making my mark on the world and more about just living. I wrote a lot more fiction than I have in years. I think completing NaNoWriMo 2017 made me more comfortable with creative writing. Also, allowing myself to write stuff without immediately sharing it with the world has made it easier to experiment with my writing style. Living with uncertainty. I’m trying to remember that motivational advice about how life is not a dress rehearsal, it’s happening whether you’re ready or not. So I just need to live in spite of not knowing, enjoy the good days without worrying if bad days are on their way. John was incredibly handy, replacing a burnt-out dryer cable, rewiring the ethernet through the attic, and bypassing more than one $300+ electrician bill with a $4 part and some Gunpla tools. He also made a great travel partner and fellow convention panelist. And of course, he’s been supportive of me in general no matter what. We’ve been married for five years this year! My Japanese English conversation club became a much bigger part of my life. We began with weekly study groups and expanded to weekend events like pumpkin carving and a painting party. It’s been amazing to realize I’m still capable of making new, close friends in my 30s. The Danganronpa franchise. I can’t thank Sarah enough for recommending I try it at Anime NEXT. It led to a new obsession for me and my friend group plus my first cosplay in a decade. Avatar: The Last Airbender. Believe it or not, I never watched it before 2018! My friends and I have been doing a remote watch-along for a couple months. Much like The Good Place last year, it’s given us some common ground and a handy topic everyone likes to discuss. What will you be leaving behind in 2018? Feeling personally responsible for everything. It’s hard to relinquish that illusion of control, the belief that if I could just be… better I could force the world to work a certain way, but it’s a much more reasonable worldview to realize that I can’t. I hope the end of your year is marked by time spent with the people most important to you, plus plenty of downtime for catching up on 2018’s truly impressive anime releases (I suggest beginning with Laid-Back Camp, Hinamatsuri, and Zombieland Saga). And in between all that, I hope you’ll consider thinking about these questions, too. See you in 2019! While washing dishes last weekend, I dropped a plate. Like a crab claw, my thumb and finger automatically snapped apart. I remember this from last year: the beginnings of carpal tunnel. Even though I type hundreds of words every day, somehow NaNoWriMo is my tipping point. Since it’s the kind of stream-of-consciousness fiction that prioritizes just getting raw, unedited words on the page, it’s a lot more repetitive than the type of thoughtful writing I usually do. After last year’s heavily researched science fiction draft on quantum mechanics, this year’s novel was on the lighter side. I wrote about a fanfiction author with a secret who visits her pen pal in Japan. And whenever I ran out of ideas for that storyline, I broke it up with drafts of actual fanfics I’ve been meaning to write. I published one, and I’m working on the other two now. Without NaNo, that might have taken me years or more realistically, never happened at all—since I put such a low priority on fiction. I was stuck on a slow Metro train when inspiration for my novel struck, so I started taking notes with my thumbs. By the time the car started moving again, I’d written 300 misspelled, poorly grammaticized words—but 300 words all the same. I realized that when I can’t finesse the spelling and grammar, it frees me to get my thoughts down first without worrying about the final result until later. I’m not a particularly speedy texter, but when I type just for me, I can write almost as quickly as I think. I’ve started writing my weekly streaming reviews this way as well, and the best part is I can still type easily while wearing my wrist brace. One of the reasons I don’t prioritize fiction is because the nonfiction writing that makes up my day job comes first. The other reason, if I’m really honest, is because I’m not as good at it! As a ghostwriter, I’m good at matching other people’s tone and voice; as a fiction writer, I’m not too good at developing my own. As a technical writer specializing in niche topics, I’m good at establishing detail; as a fiction writer I’m crap at worldbuilding and creating a convincing plot. I could just avoid those things, but then I’d never grow. One advantage of personal development that should get more attention is that improvement is a lot more interesting than sticking to your comfort zone. NaNo has been a great way to hone my weaknesses in a kind, supportive space. I’ve decided to no longer aim for the finish line, but I’ve still been returning to my manuscript daily. After 20,000+ words (that’s 50 pages in Google Drive), it’s habit forming. I have a lot of unfinished threads I want to pursue, even if it’s not at the rate of 1,600 words a day. I’ve been editing, rearranging, and massaging the wording—all the things they tell you not to do during NaNoWriMo because it will slow you down, but it’s precisely this slower pace that is keeping me from injuring myself further. Last year, I kept writing beyond the point where I was dropping plates. After a close friend died, I’d realized that we never know when it will be our last chance to accomplish a goal. I’d been putting off NaNoWriMo for years and nothing was going to stop me that time; my resolve was unwavering even as I knelt to pick up the shattered china. My novel that year, about a woman in a parallel universe trying to return home, is a palpable metaphor for grief. But this time I’m choosing to celebrate the writing I did do instead of worrying about the writing I didn’t. NaNoWriMo is an amazing exercise that can push you beyond your comfort zone; I guess this year it was just a bit too much of a push for me. I still want to try it again next year, just with daily carpal tunnel exercises baked into my writing routine. Even if I don’t finish again, it’s such a good opportunity to grow as a writer, which is why I’m always encouraging people to join. 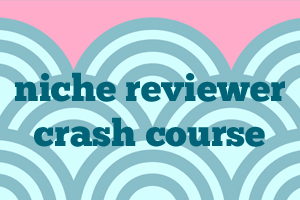 Want to use it to work on an existing project? Sure! 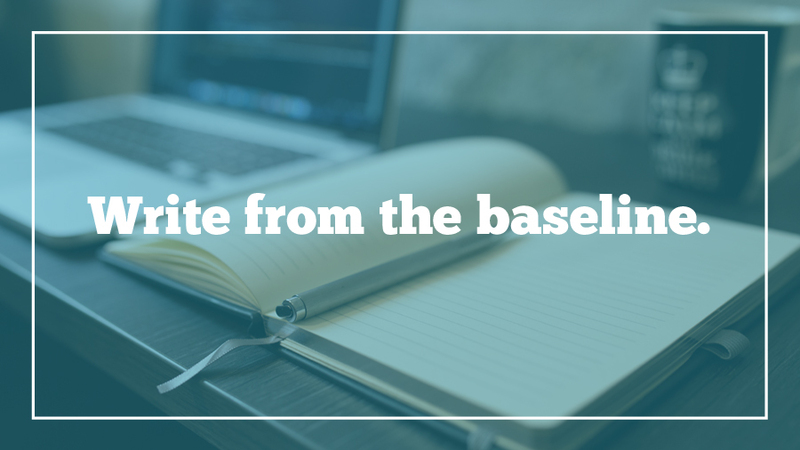 What if I use my 50k to write 30 different daily blog post drafts? Sounds good to me! Maybe I should offer that same flexibility to myself. I’m concluding my official count at 21,708 words, but if I do a word count on the manuscript I’m still editing, it’s grown to 23,441 by now. I’m moving a lot more slowly, turning this lump of pure ideas into something more polished. If NaNoWriMo is less about finishing a book in a month and more about starting a habit, well, it’s working for now. Maybe that’s all that really matters. 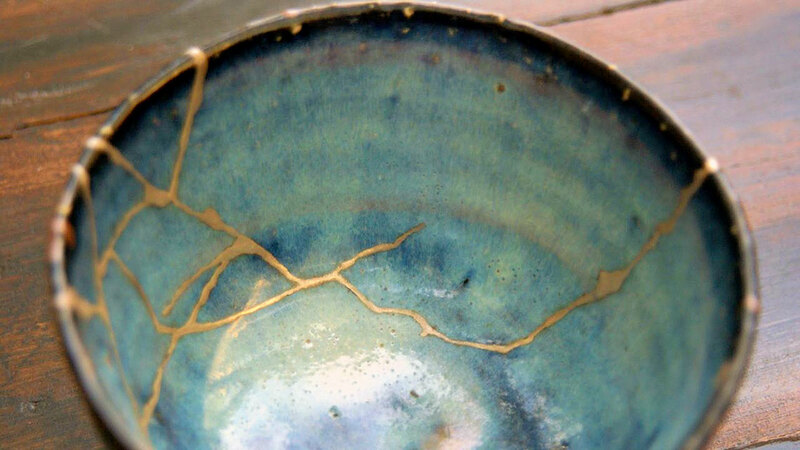 Photo of kintsugi pottery, which has been broken and mended, via. Recently, a friend asked me how I managed to stay motivated while writing my two self-published books. She wanted to know how I managed to keep going when I wasn’t even sure if it was going to pay off, especially when I had other, paying work I could do instead. A major part of my confidence comes from the fact that both times, I polled my audience about which topics they’d most like to read a book about. It was important to start with something I knew readers already cared about. But today I want to tell you about what came after that: getting some semblance of the book into readers’ hands as soon as it was ready. It’s just like Twitter. It’s so easy to tweet an idea out there and see people’s interactions right away. The instant gratification is addictive. Longform writing projects are the opposite of that. It’s so long until anybody sees what you’re working on that it can feel like you’re writing just for yourself. And no matter how much you care about the topic, that can be a slog—especially when I know I have more immediate work you could do. But hold on a second. Let’s examine why that other work feels so much more pressing. I think it’s because the other work: blog posts and articles and copywriting, is due to meet its audience very soon. Like Twitter, it’s more of a conversation, and that feeds my dopamine receptors. Unlike a book that might take months or a year to finish, it will get acknowledged right away. Since I knew I was motivated by a dialogue, I worked that into the initial release of Otaku Journalism. 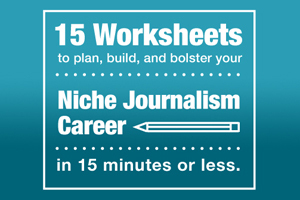 I started by writing just one chapter and releasing it as a downloadable guide. Then another, and another. 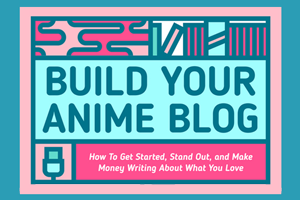 By the time I announced Otaku Journalism was going to be a full-length book, these guides had been downloaded more than 1,000 times. Readers had told me what they did and didn’t like, and I could keep that in mind while I wrote the rest. It was easy to stay motivated after that, knowing that this was more than a passion project, but a collection of advice that readers wanted and told me would be helpful to them. Even so, I don’t think of Otaku Journalism as a success since it took me more than a year to break even and start profiting off of sales—I spent too much time and money upfront. 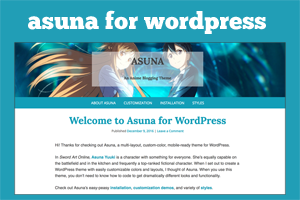 But I corrected those mistakes in Build Your Anime Blog. I kept it lean and dense by incorporating 12 interviews with other bloggers in order to give way more advice than I could offer alone. This extra help also made it possible for me to wrap up the project in just two months. Even if it hadn’t made a profit right away (though it did! ), I wouldn’t be out as much time or effort. The one thing these two strategies have in common is that they got me out of my own head and back in front of an audience quickly. 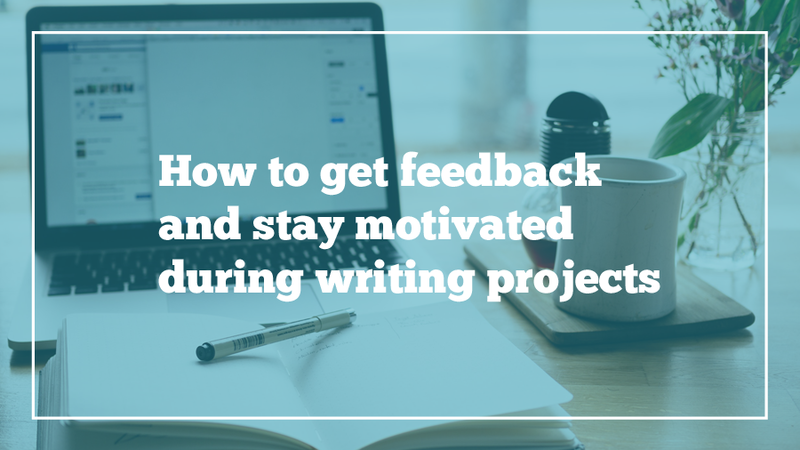 Whether it was through a serial chapter format or through a speed-writing sprint, I got to the good part—getting reader feedback—as soon as possible. The thing is, writing in a vacuum is hard. When it’s just you and your word processor, it’s easy to get caught up in your own anxieties. What if people hate it? Or even worse, what if they don’t care? The thing is, if you did your homework before starting to write (through a poll or another sort of audience research), you know logically that people want this. It’s just that the gap between picking the project and putting it out there is the time that it’s toughest to remember that, because there’s the largest amount of space then between you and your audience. Whenever I feel the least motivated, I talk to friends who are also doing NaNo about where I’m stuck. On a few occasions, I have dropped my own manuscript to write a scene or two for a friend’s. It’s so much easier to write when I know what I’m putting down will soon have an audience. Even if my friend doesn’t like my contribution, it feels good to be acknowledged, compared to plugging thousands of words away into a document that might never be ready to publish. It might be a long time before my work is ready for the world, and I certainly didn’t workshop my NaNoWriMo idea with a test audience. But I can still text a bit of dialogue I’m proud of or talk to people about the process. These moments of outreach remind me I’m not writing this alone. Continuing from last week, not to mention last year, I’m wrapping up every November blog post with my current word count out of 50,000. Today it’s 16,417—I’ve fallen a few days behind. I’m not sure if I’ll get to the finish line this year, but I still plan to write a little every day! I won’t bore you with the details of how I ended up locking myself out of my house last Thursday morning. Just know that no matter how I try to justify it, it was a pretty stupid mistake. Fortunately, when it happened, my neighbor was home and let me use his phone. I called John and, amid a storm of apologies, asked him to come home from work and let me back in. Then I asked my neighbor for one more favor: could I borrow a pen? After all, this happened on the first day of NaNoWriMo and before the incident, I had been just about to sit down and write. I settled in on a park bench with my pen and some scrap paper… and proceeded to completely space out instead of getting any writing done. What time is it? I didn’t have my phone or even my watch. Can I keep track of time with the movement of the sun, maybe? How much time has even passed? What’s going on at work? Right before I locked myself out, I turned in an article on deadline. Was my editor happy, or was she pinging me right now for changes? I’m so stupid. Why didn’t I bring my keys, or double check the door before I closed it? John must hate me right now for interrupting his day. Why am I not writing? I have zero distractions. There’s just this paper in front of me. But for some reason, I still can’t make my brain relax. It turned out there wasn’t any reason for me to worry so much, as is often the case with these things. My editor had gone to lunch and didn’t notice my absence. John wasn’t upset when he came home, and we made a plan to keep this from happening again. Even though logically, I knew everything was fine, it took a couple of hours though before I could calm down and get some writing done. I had forgotten the most important truth about writing: the most important prerequisite is a calm mind. Despite, it’s far more difficult to create anything when you’re freaking out. I think of the “ground level” Strayed describes as a sort of baseline. Everyone’s is different: some are higher or lower than others. But your baseline is your most comfortable mindset, in between more positive or more negative emotions. Positive thoughts don’t get in the way of my work, but negative ones do. If I’m worried about something else those worries occupy my mind, and I can’t give my focus to creation when I’m already fixated on some impending doom. It’s important to consider during periods of writer’s block or demotivation, it might be something more than laziness to blame. Are you really that undisciplined, or is it something stressful that’s making it tough for you to concentrate? Putting aside physical time for your work isn’t the same as reserving the mental space it requires. Maybe you know this already. But in a year that’s been tough for everybody, I think it can be easy to blame ourselves for lower productivity when that isn’t always the right reason. If you’re going through something, ditch the self-shaming and take care of yourself, first. When you’re feeling better, your creative projects will still be there. Since it’s National Novel Writing Month, I’m going to continue with last year’s tradition and conclude every November blog post with my current word count out of 50,000. Right now it’s 7,886. I’m just getting started!